Take a break from the textbooks and learn by doing. Make service-learning part of your education and volunteer abroad with Projects Abroad. Service learning and volunteering have a lot in common. You go into communities to help people solve problems. You learn new skills; you experience personal growth. But service learning is more than just volunteering. While you focus on service work, we also focus on helping you learn from it. Our staff help you reflect on your experiences, work with you through any problems you encounter, and talk about the results of your work. 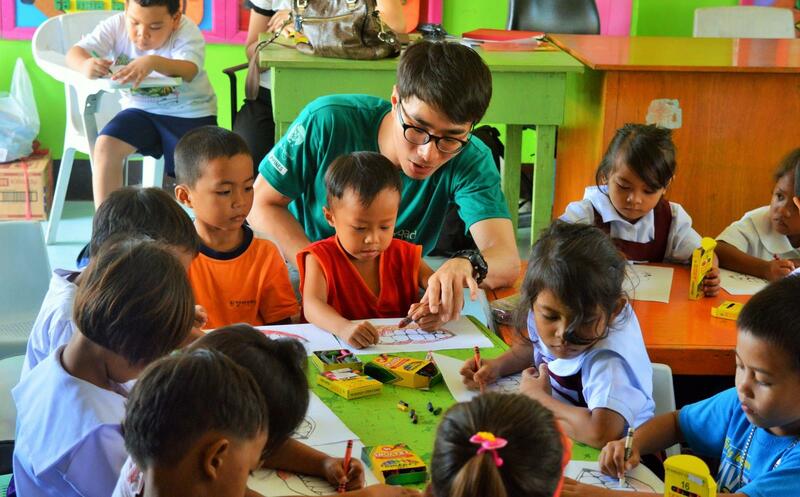 For service learning abroad, you need a well-run program in a country where your work has a positive impact. Our programs help solve problems that people face every day and we have strong ties to local communities. We built these relationships with the help of our staff and through partnerships with local organizations and NGOs. This ensures that we collaborate with local people and address their needs, which makes our long-term work more effective and sustainable. 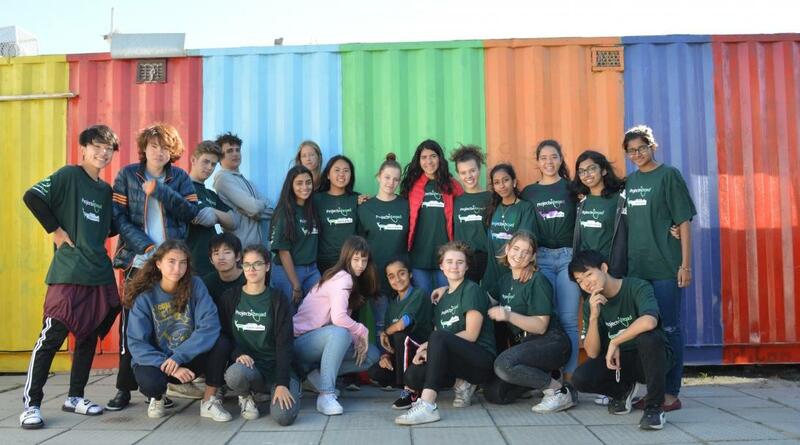 International Service Learning: What Can I Do? Our Public Health Projects focus on helping people in rural areas where these is a lack of access to medical care. You do basic health checks and raise awareness about illnesses like diabetes and high blood pressure, and you talk about the importance of healthy living. Get an introduction to the healthcare challenges that rural communities face while you get practical medical experience. In many rural areas, children stay home during the day because families can’t afford kindergartens and daycare. This means that they don’t get as much stimulation as they need. It affects their development and makes it harder to cope when they start school. Our Childcare Projects aim to change this by working with kindergartens and daycares that focus on Early Childhood Development and education for disadvantaged children. You help kids learn through play, teach the ABCs and 123s, and get them active outdoors. Climate change is a growing threat. Coral reefs are suffering from bleaching, and miles and miles of rainforests disappear every day. At our Conservation Projects, we are working reduce the impact of human activities on precious ecosystems around the world. Join us and be part of our efforts to protect the environment while you learn from professional scientists and conservationists in the field. A lack of good infrastructure can hold a community back. Children need safe spaces at school to learn, modern toilets prevent disease and improve hygiene, and shelter fulfills a basic human need. Each of our Building Projects is working toward providing a disadvantaged community with the infrastructure they need. Do a Building Project, learn about the infrastructure challenges people face, and see immediate physical results from your work. If your interests lie elsewhere, check out our other service Flexi Trips. Take advantage of the opportunity to see and learn about the world. Have new experiences, face new challenges, and learn more about who you are as a person in the process! Enter the world of experiential education and apply your studies to real-world situations on a service-learning trip for university students. Many students who join us for this type of experience opt for an internship abroad, so they can help, learn about global issues, and get practical work experience at the same time. University students are busy people, and most have tight schedules over the summer. For students with only two weeks to spare, we strongly recommend our Team Trips. You'll be able to team up with a group of people to work toward a specific goal. A growing number of schools, educators, companies, and organizations are interested in running service and experiential learning trips. Projects Abroad offers custom group options for students, clubs, sports teams, and colleagues from the same company. Tell us what you need and what you want to accomplish, and we can customize a service-learning trip for you. Give your children the educational experience of a lifetime and volunteer abroad as a family.This is a fantastic opportunity to show your kids the world and teach them about helping people. Talk to us to find which program would work best for your family or customize a service-learning trip to fit your needs and goals. We’d be happy to talk about creating a custom service learning trip for you. Most of our staff have been volunteers themselves, so they’re ready to answer your questions, big or small.